Valerian Compound may be given in conjunction with medicines - if you are unsure please contact our advice line for further information. Daisy is an 11 month old chocolate Labrador puppy with anxiety issues. I was recommended these drops by the behaviourist we are working with. Daisy has been having a twice daily 5ml dose for about 3-4 weeks. We are her 3rd home, we adopted her at 5 and a half months old, she settled well but was a always a bit nervy and barky. At the end of September our older dog died very suddenly 1 week before his 4th birthday. This seemed to throw her completely and she became so anxious we couldn't take her out, she was barking, shaking, crying. We have been working hard with a behaviourist to overcome her fears and 7 weeks on she is a different dog. I'm sure the drops have helped and I think they've built up in effect over the last few days so I would say try them for at least a month before passing judgement. When fireworks first started going off about a month ago we had only just got the drops and she was barking and unsettled every evening. Last night there was a big Diwali display nearby and she slept all the way through it! She is just generally calmer and less hyper around the house and less barky on walks when we meet other dogs. Some relatives visited yesterday and they haven't seen her for a few weeks, they commented that they thought we'd got a different dog! Now ordering the tablets for longer term use and the drops for more stressful days.rnThank you. I've been having problems with stressed cats spraying and urinating all over my home. Once I started using Valerian Compound, the problem disappeared, so thank you very much. I thought I would tell you how thankful I am that I discovered your products. I have several rescue Greyhounds, one of them Holly is petrified of fireworks, my friend recommended your Dorwest Valerian Compound and lent me her bottle. rnI was amazed at the results. She was calm and sleeping through most of the fireworks, she still shook a little but nothing compared to what she was like before. The first time we tried it was Christmas night. I have told my many hound friends with scared hounds, some of them have now purchased your product and I will continue to promote it . rnSo thank you for an amazing product. Gave this to my dog to help with stress while being groomed, together with the scullcap and Valerian tablets. Worked a treat and didn't freak out with the clippers as she has before. Now has a smart haircut and she is a very chilled dog. Would thoroughly recommend. Long distance travelling with an anxious cat. We recently rehomed a 6yr old boy who appears to be suffering from post traumatic stress - bereavement house move extended cattery stay and rehoming. Valerian worked within 30min calming him down reducing aggression towards our other cat making him more responsive to us and reducing his tendency to sit and stare into blank space. It's a brilliant product but rather strong smelling - still lots of smelly fish help to hide it. Thank you for helping us help him on the road to recovery. Excellent products and service. This company was recommended to me by the kennels that I use as my dog gets stressed when he stays with them. I bought some Organic Valerian Compound to use when he travels and also some Scullcap & Valerian Tablets. I have given him the compound on journeys and he is much more relaxed and calm. Have yet to use the tablets and Keeping them for when I know he is due at kennels to stay. Spoke to company before ordering. Very pleasant and knowledgeable staff. Just to let you know how Addy coped with the fireworks - I must say he was better although he was listening and shaking a bit there wasn't the usual panting and trying to hide everywhere and he settled quicker after the event. 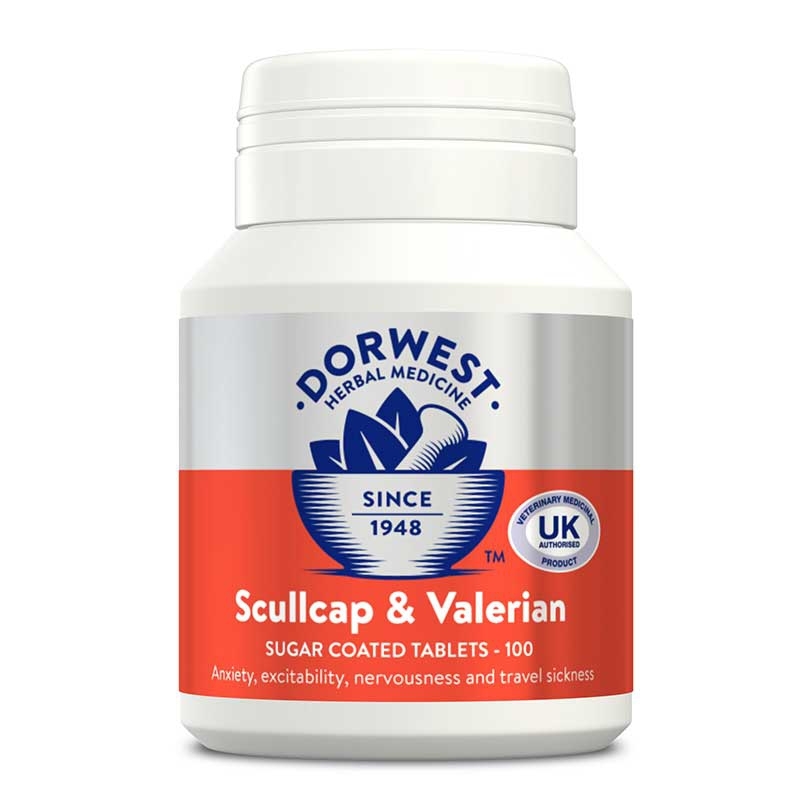 So thank you the Scullcap and Valerian Tablets for a couple of weeks before and the Organic Valerian Compound helped on the night. Monty our 3 year old miniature Schnauzer has noise sensitivity and firework time is very stressful for him and us. We've been using the Scullcap and Valerian tabs but the benefit of the Valerian drops are much more noticeable. He stops trembling and shaking and goes to sleep without running away and trying to hide from us and everything. Hopefully next weekend will be the last fireworks until New Year but I will remember to keep these drops handy as poor Monty also reacts to thunderstorms. Thanks Dorwest! 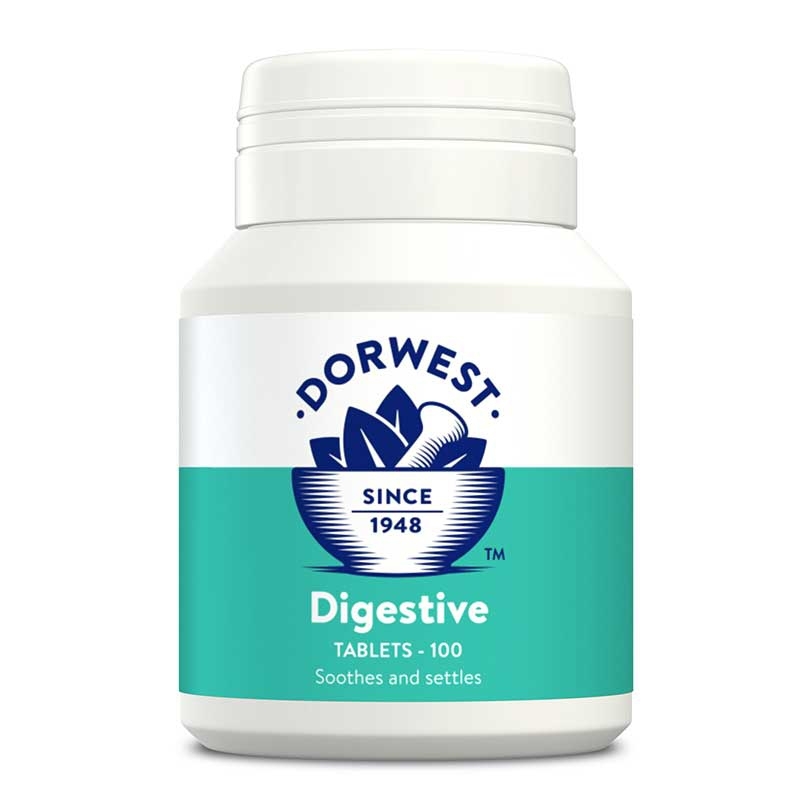 Just a quick review to say how much this compound helped improve my spaniel's anxiety. He was very nervous in the evenings when we went to bed and we'd have to take it in turns to spend time sleeping on the stairs until he fell asleep......not ideal! After popping a dash of this into his evening meal he became much more chilled and would happily snooze whilst we disappeared off to bed. Very pleased! We used this as well as the Skullcap tablets. Life savers! 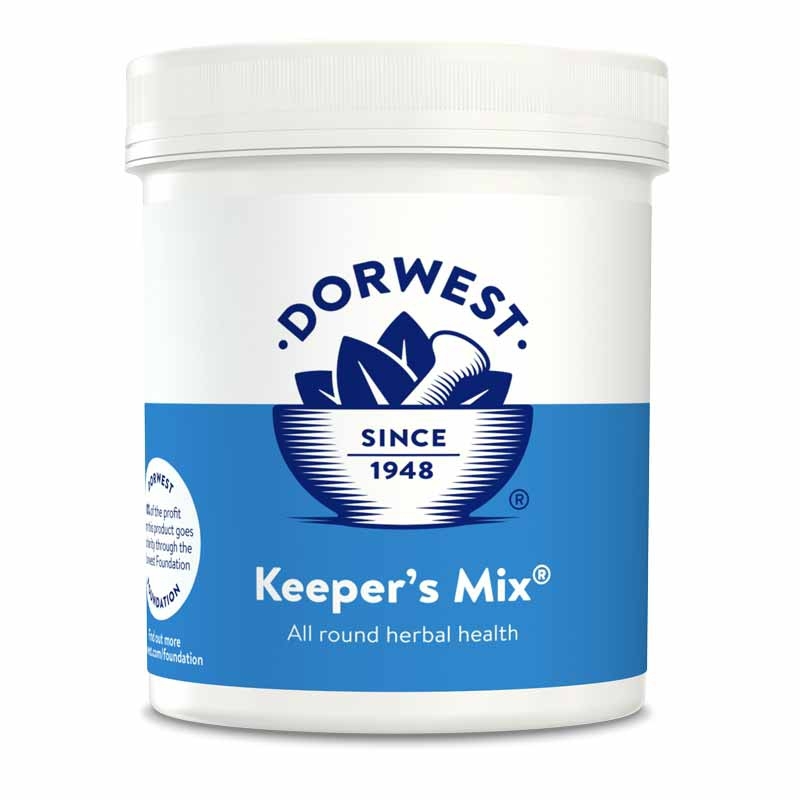 I have tried many herbal formulas for my dog who has severe noise phobia without success. Thunder and fireworks are especially bad. With your compound drops he simply falls asleep during the noise. Truly a miracle for us. Used for agility competition with my young lurcher. Before she used to hoon around the arena in her 1st and sometimes 2nd runs. With a single dose of the Valerian compound she behaved impeccably and came away with two 1st's and a 2nd! Let's hope it continues to work as well. Just a quick thank you on behalf of my dog CJ who has firework phobia. We have been working on it since we adopted her two years ago but your products have been the final piece in the jigsaw. We started the tablets a month ago in prep and have now added a dose of the Valerian Compound to her evening meal. Despite really loud fireworks she is literally snoring away in her crate at this moment. She is going out for walks the next day whereas last year she wouldn't leave the house for weeks. I never dared hope that we would get to this point but she has responded brilliantly to the valerian. These are a life saver for dog and owner especially at firework time. One of my dogsa rescue was very scared when she came but is now relaxed and happy .For both dogs instead of loud bangsthunder fireworks making life miserable a few drops of Valarian Compound and for several hours they are quite relaxed ignoring the noise. I recomment it to all my friends with pets who are stressed and they get similar results. It really does work and makes for happy dogs. My cat was terrified of being put in her crate both for visits to the vet and for travelling. She would pee and poo in the crate and be in a completely panicked state. An hour after her dose of Dorwest Organic Valerian Compound she was completely relaxed only slightly frustrated to be in the crate but not anxious at all. 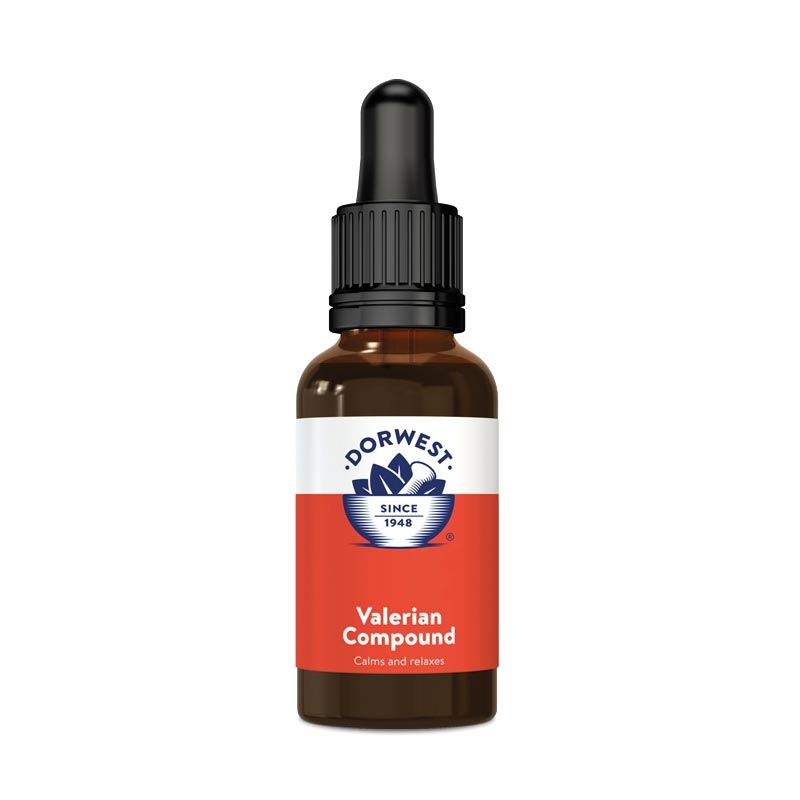 I Would like to say a huge thank-you for your Organic Valerian Compound it has worked so well in calming my shaking quivering wreck of a whippet during this firework season I've been recommending them to loads of people thank you again from me and a very calm chilled Miki. My cat was terrified of being put in her crate both for visits to the vet and for travelling. She would pee and poo in the crate and be in a completely panicked state. An hour after her dose of Dorwest she was completely relaxed only slightly frustrated to be in the crate but not anxious at all!